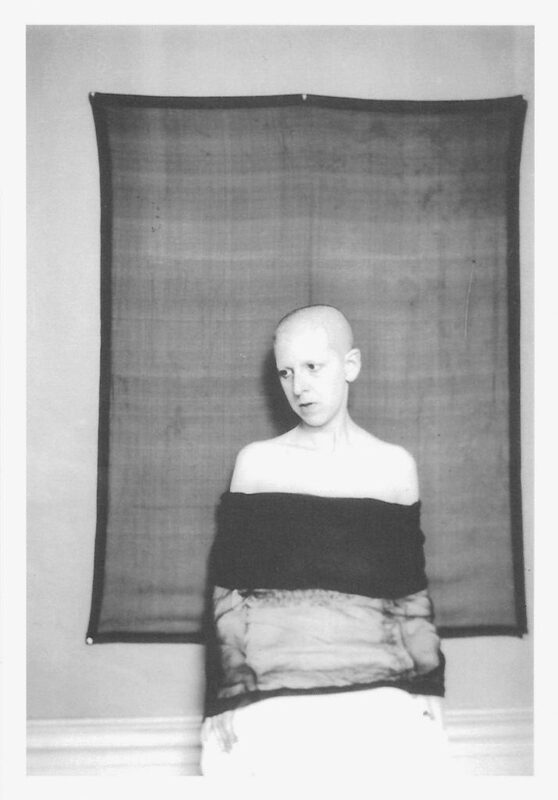 The first Canadian solo exhibition of self-portrait photographs by French artist Claude Cahun (1894 to 1954). 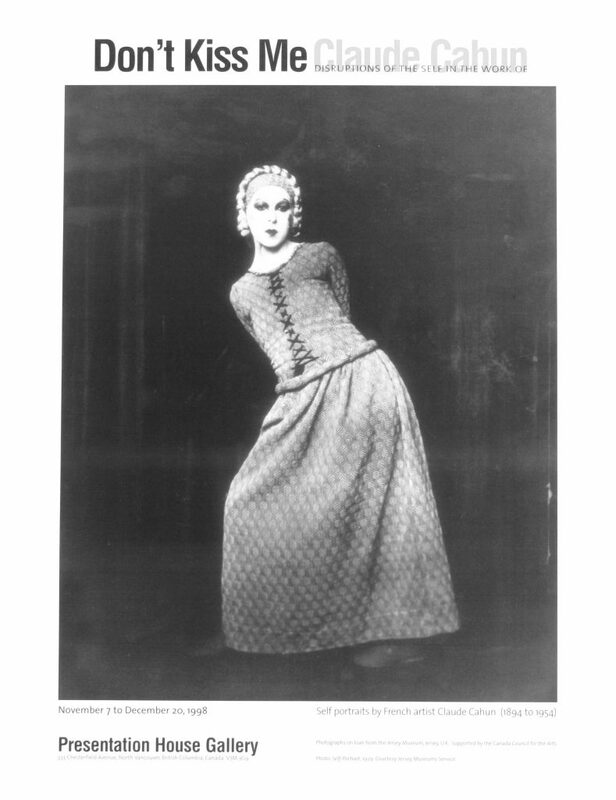 Little known until recent years, Cahun is currently the focus of international attention. Cahun's self-portraits astonish us with their ability for transformation: from skinhead to Japanese puppet, Buddihist statue to disembodied preserved head, from vamp (with 'I am in training: Don't kiss me: shouting across her skirt) to some stange 'otherworldly being', Cahun sough out her desire: "To dream. To imagine that I am another"
Supported by the Canada Council for the Arts. 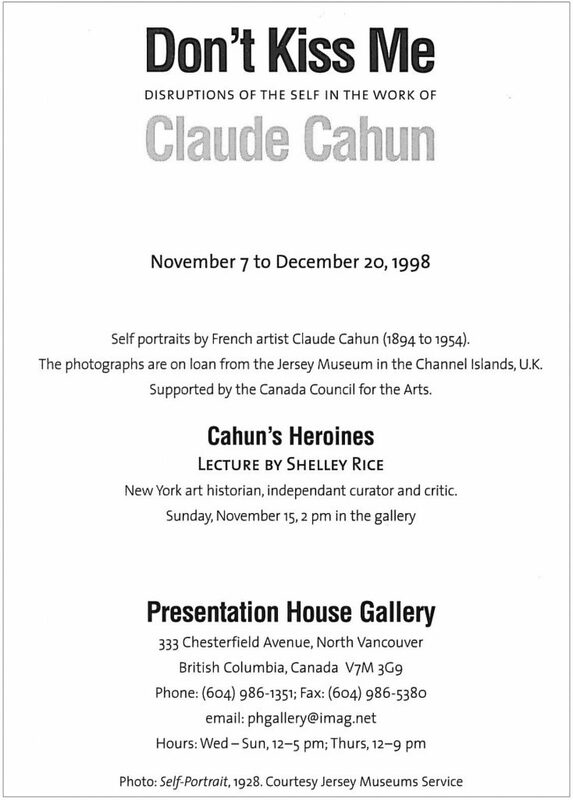 The Cahun photographs are on loan from the Jersey Museum, Jersey, U.K.
Sunday, November 15th at 2:00pm | Cahun's Heroines, a lecture by Shelly Rice, New York art historian, independant curator and critic. Poster for the exhibition "Don't Kiss Me"